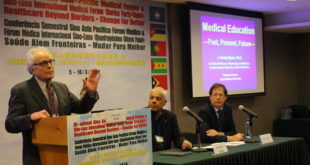 The 44th Sino-Luso International Medical Forum in Macao from 19-22 August closed strong today with doctors from around the world—two presentations from Hong Kong covering saving babies and women stood out. 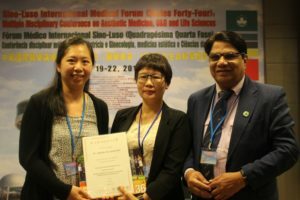 Indeed, the Multidisciplinary Conference on Aesthetic Medicine, Obstetrics & Gynecology, and Life Sciences had several days of lectures and hands on training workshops for Macau’s frontline healthcare providers. 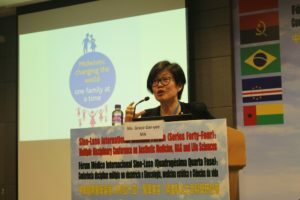 At the Dr. Stanley Ho Medical Center in the Landmark on Sunday, a large series of lectures were held, including a strong afternoon session with Dr. Amelia Pui-wah Hui and Ms. Grace Gar-yee Ma. 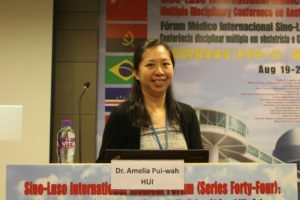 Dr. Amelia Pui-wah Hui, consultant at Queen Mary Hospital and honorary Clinical Associate Professor of the University of Hong Kong, who gave a power presentation on live-saving fetal intervention, commented, “While their still in utero through the pre-natal period, we are making advances so they can actually survive in conditions that we used to think were not very compatible for them to survive, can now be managed. 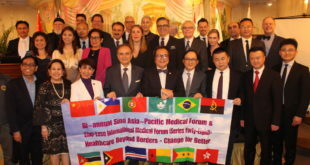 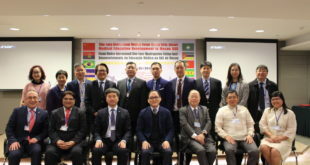 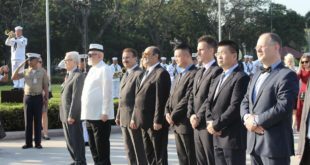 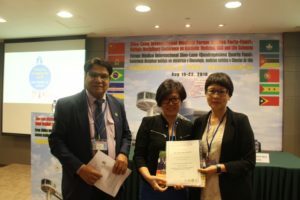 The Sino-Luso International Medical Forums have been running since 2011 and are supported by the National Health Commission of China in Beijing, as well as a host of Portuguese speaking health associations in Macao.